Maryland always plays WVU tough. We might not be conference rivals, but we are certainly recruiting rivals. Maryland is a long time opponent of the Mountaineers and is technically a rival, but not really. I guess the Maryland fans are simply too nice. 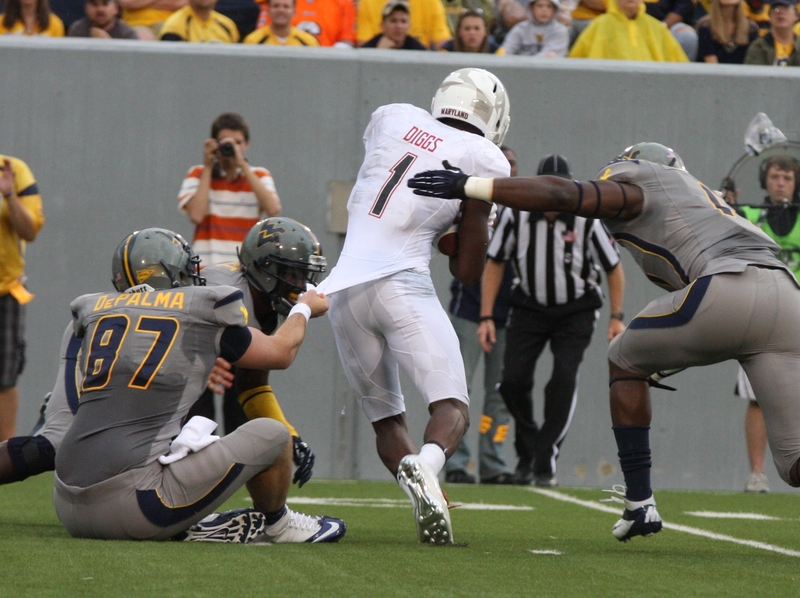 WVU has a winning edge of 26-21-2 over the past 49 years and the Mountaineers have won the past 7 straight games. But past success has absolutely nothing to do with this year. Graduation and the NFL keep changing the players. This year Maryland has charged out to a 3-0 start, dominating each opponent. The bookies in Vegas have opened with the Terps as a 4.5 point favoriteover WVU. Maryland is led by quarterback C J Brown, a 6’3″- 210lb. senior that is a true dual threat. Brown is 49 of 73 passing this season for 833 yds, 6 touchdowns and 1 interception. He has also carried the ball 31 times for 257 yds. and 5 touchdowns. He reportedly runs a 4.43 40. He is good. Brown’s favorite target is wide receiver Stefon Diggs, a 6’0″-195 sophomore. Diggs has caught 16 passes for 387 yds. and 3 touchdowns. The Terps leading running back is 5’10- 210 lb. sophomore Brandon Ross with 46 carries for 265 yds. and 1 touchdown. Ford Childress performed well, but how much do we really know?